It was only a matter of time. 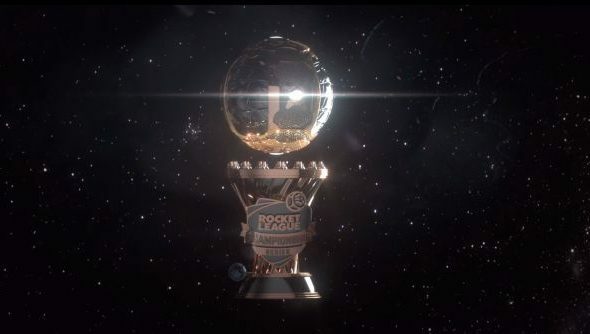 Psyonix and Twitch have banded up to create the Rocket League Championship Series, the official eSports organisation for Rocket League. Over the course of three months, with registration starting on March 25th, teams of three will compete for their share of $10,000 in a pair of online championships. Then, at the end of the third month, a live, international finals will take place for the remaining $55k. It should be absolutely brilliant. Not a true pro? Try the best PC games ever, some of them are singleplayer and all of them are great. It’s a great move, and has the potential to become regular if it’s successful. Having watched a little bit of high-level Rocket League back near its launch, I can confirm it’s going to be absolutely brilliant to watch, whether you’ve understanding of the game’s subtleties or not. Equally, I’d like to have seen a high-stakes 1v1 tournament as well, though I understand why making it a team sport is valuable, especially in its first iteration – more people involved means more success, and team games dominate 1v1s when it comes to eSports success on every metric. A little more info and instructions on how to take part over on the brand new official site. We’ll keep you posted about when events are being broadcast.